The National Ice Core Laboratory tries to answer one question: As the Earth warms, will sea levels rise three feet? Or 30? Or even more? I really notice the chill in the air when my mechanical pencil freezes — or maybe it has just run out of lead. But it is undeniably cold, 36 degrees below zero Celsius, plus or minus. "The temperature in here is about what it always is at the South Pole," says Geoff Hargreaves, his face turning plum-colored. 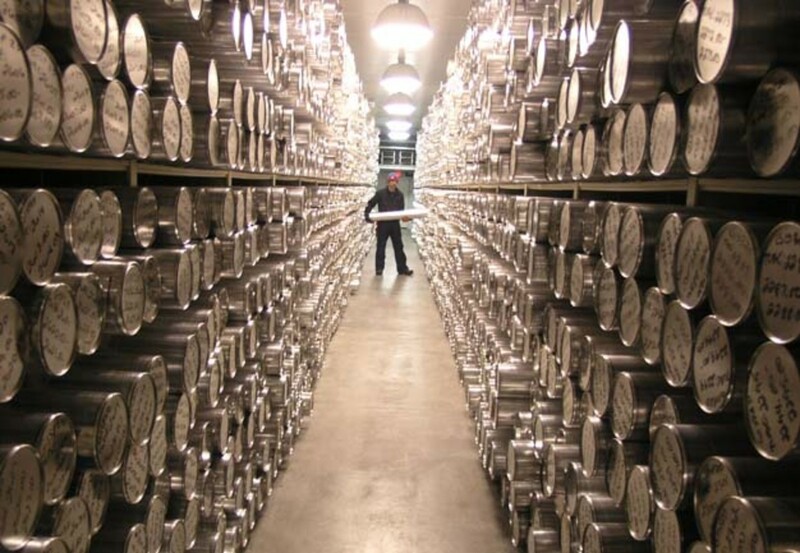 We are in Denver on a sunny, late September afternoon, but here at the National Ice Core Laboratory the main collections room is kept perpetually frigid, the better to store 14,500 precious cylindrical cores drilled from glaciers near the planet&apos;s poles. Hargreaves, the laboratory&apos;s curator, has been showing me around. I have come to Denver for an annual meeting of scientists working on a massive multiyear project to extract a 2.2-mile-long core of ice from a glacier in West Antarctica. A collegial bunch of geologists, geophysicists and biologists, many of them are field scientists, on the front lines of the drive to understand and predict global climate change. Ice cores contain layers or rings that vary in thickness according to annual snowfall accumulations and the depth from which they are recovered, as snow is laid down and compacted into hard ice over thousands of years. Trapped within each ring are unique concentrations of dust, isotopes and dissolved gases — important clues to the Earth&apos;s climate in the distant past. Through painstaking measurement, these scientists hope to construct a year-by-year record of the Earth&apos;s climate going back at least 40,000 years and maybe further. The project has an unwieldy but descriptive tag: the West Antarctic Ice Sheet Divide (WAIS Divide) Ice Core. 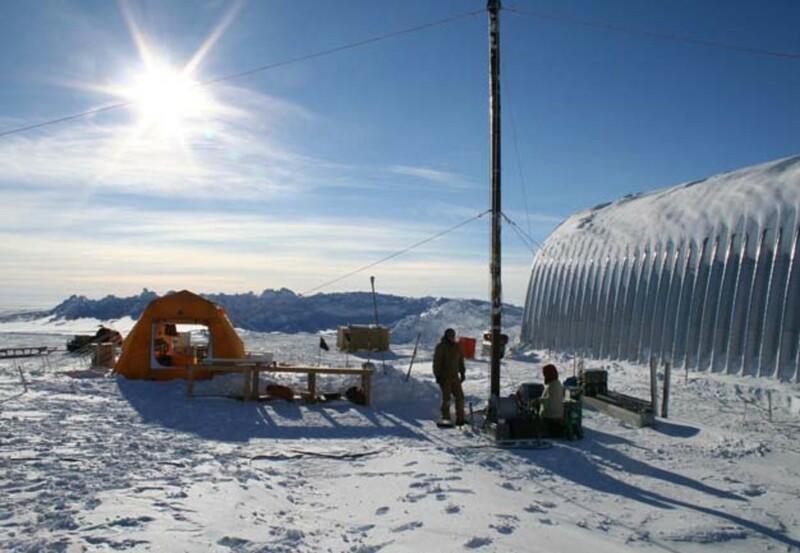 Funded by the National Science Foundation, it was first dreamed up in the 1990s, as work was finishing on a long-term coring project in Greenland. "One objective is to compare the climate of Antarctica to the climate of Greenland over the last 100,000 years," says Kendrick Taylor, the project&apos;s chief scientist. "We&apos;re very interested in understanding where the climate changes originate." Another goal is to learn more about how greenhouse gases interact with the climate, so scientists want an accurate record of how carbon dioxide levels have fluctuated over time. The Antarctic core from the WAIS Divide should provide a clearer picture than cores from Greenland, where the ice has trapped windblown dust from neighboring landmasses, triggering chemical reactions that can throw off carbon dioxide measurements. Ice core research has already provided convincing evidence of human-caused climate change by demonstrating a carbon dioxide-climate link. In the past few hundred years, carbon dioxide concentrations have increased by 35 percent — far faster than at any time in the climate record — and temperatures appear to be rising quickly. Meanwhile, the WAIS Divide project is yielding data on a very big piece of the puzzle. "Right now, the biggest climate change uncertainty is West Antarctica," where a vast amount of fresh water is locked up, Taylor says. "If the West Antarctic Ice Sheet were to melt, the seas would rise by about six meters." From what scientists have learned, this ice sheet is far from static: It has "streams" of fast-moving ice running toward the sea at a rate of several kilometers a year. Where they reach salt water, the streams jam up to form ice shelves hundreds of meters thick. These floating ice shelves act like a cork in a bottle, limiting how quickly the streams flow. "But when you pull out the cork, all the ice behind it starts to flow," he says. What could cause these frozen "corks" to melt? As it happens, Taylor says, "Ocean water is incredibly effective at melting ice shelves." The U.S. first started drilling deep polar ice cores in Greenland in 1956, with more drilling at Antarctica&apos;s Byrd Station a few years later. The Greenland Ice Sheet Program, launched in 1971 in cooperation with Danish and Swiss scientists, marked the first time scientists had drilled through an ice sheet to bedrock. The WAIS Divide Ice Core project is intended to match the Greenland project, which wrapped up in 1993. "Ice cores are really cool because we have the best record of what the climate has been in the past," says Taylor, a research professor at the Desert Research Institute in Reno, Nev., who did his first polar fieldwork as a graduate student in the early 1980s. "There&apos;s the water; there&apos;s the stuff dissolved in the water, like salt and sea salt; (there&apos;s) the stuff trapped in the water that doesn&apos;t dissolve, like dust; and then there&apos;s the gases dissolved in the ice." Taylor, who favors jeans and hiking boots, has the bushy beard and weathered skin of someone who has spent a lot of time outdoors; when he isn&apos;t drilling for ice, he&apos;s skiing. This year he&apos;ll return to the WAIS Divide drill site, 885 nautical miles from McMurdo Station, the hub of U.S. Antarctic research, for a second season of deep drilling. 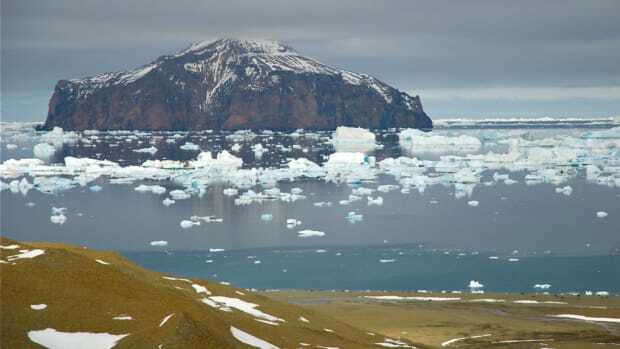 The site was selected after several years of searching because of the depth of the ice sheet there (nearly 3,500 meters) and relatively high annual snowfall accumulations. An ice divide is analogous to a watershed divide, a high point in the underlying bedrock where an ice sheet&apos;s own massive weight forces the edges laterally in different directions. There are differing degrees of time resolution in different ice sheets around the world, Taylor says. West Antarctica, which receives lots of snow, has thicker annual rings; when compressed, they equal about one centimeter per year for the past 40,000 years. East Antarctica&apos;s ice sheet is about as thick as West Antarctica&apos;s, but the region sees much less snowfall, so the annual rings are wafer-thin or even indistinguishable. It also means the deepest layers are older — about 800,000 years old, versus 100,000 at the WAIS Divide. From a scientific standpoint, Taylor says, "They&apos;re both great. It depends on what question you ask." A team of around 50 scientists, graduate students and support personnel will converge on the site by December, at the start of the Antarctic summer, when a warm day might reach 20 degrees Fahrenheit. "We can only drill for about 40 days out of the year because of weather conditions," Taylor says, explaining that even in midsummer, the site can get socked in by blizzards. Several years ago, the team assembled an arched metal building to house the high-tech, computer-controlled drill used to extract the cores in sections that average 2.7 meters in length — but the building&apos;s now nearly covered in snow. Additional temporary structures a half-kilometer away provide a mess hall and shower facilities. Meanwhile, everyone sleeps in domed backpacking tents. Adjacent to the drilling arch is a building where the ice cores are cataloged and prepared for shipping. Incongruously, that building is equipped with a refrigeration system to keep the working environment at around zero degrees Fahrenheit. 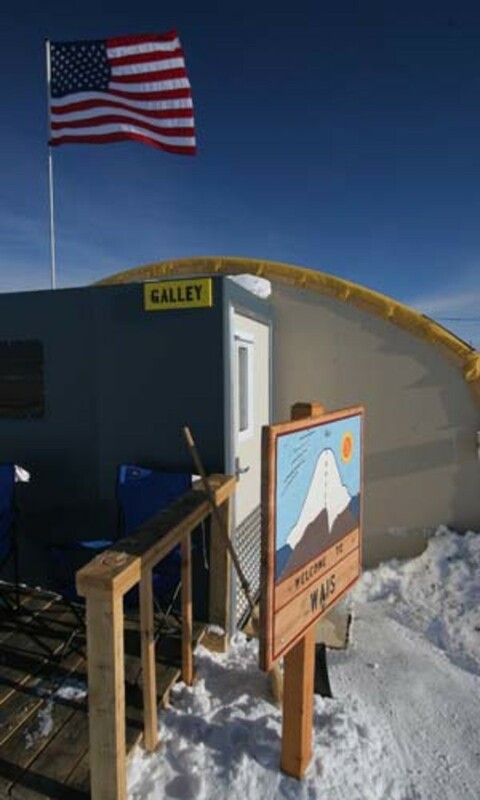 The cooling is needed because even in Antarctica, sunlight can heat the building. If the ice warms, gas molecules locked in the dense matrix of ice crystals will start to leak out of the core — and those gases are essential to measuring the paleoclimate. Even clad in arctic gear, workers get chilled on the job. When that happens, they go outside, where the temperature might be all of 15 degrees Fahrenheit. "Just stepping outside in the middle of Antarctica is a break," Taylor says, laughing. The sun stays up day-round at the height of the Antarctic summer. But storms sometimes prevent supply flights from McMurdo — the aerial lifeline that brings in food and fuel — for weeks at a time. The extreme conditions and isolation require considerable physical and psychological stamina. "Certainly it is not for everybody," Taylor says with dry understatement. Last year&apos;s drilling reached a depth of about 580 meters, the top of a thick layer of "brittle ice," Taylor says. This brittle layer is formed when the ice is highly compressed, squeezing the air bubbles so much that the pressure inside can actually crack the ice, making it very difficult to handle. But below about 1,500 meters, the ice becomes so compressed that trapped air molecules are forced into the space between the ice crystals, forming what is known as a gas clathrate. less fragile. Taylor says that as the mechanical strain caused by compression eases, the core diameters actually expand a little. "In most cases, it does relax and you can cut it without it falling apart," he says. When the ice is brought to the surface, it is cut into one-meter sections, slid into plastic sleeves and packed in cardboard tubes. But first, workers wearing gloves send it through a drying booth to help remove traces of the hydrocarbon-based drilling fluid that keeps the borehole from closing up. The tubes are packed into insulated cardboard boxes that are stacked on pallets and loaded aboard a ski-equipped Air National Guard LC-130 Hercules transport plane. The ice is flown to McMurdo in an unheated airplane to keep it cold and then is stored in 25-foot-long refrigerated shipping containers. The containers are later placed aboard a ship for the voyage to Port Hueneme, Calif. The ship is met by two refrigeration trucks that ferry the valuable cargo nearly 1,100 miles to Denver. "It&apos;s tremendously precious because the ice core is kind of like a book," Taylor says. "You need all the pieces to have it make sense." He estimates that drillers will reach the bedrock beneath the ice sheet by 2012. Geoff Hargreaves has worked at the National Ice Core Laboratory since it opened in 1993, when the collection was moved to larger quarters in Colorado from the University at Buffalo of The State University of New York. "It&apos;s the first time the United States has had a dedicated facility for the ice," he says. The facility, which has some ice samples going as far back as 1958, is meant to be a permanent repository, but it&apos;s running out of room. "From right now we can probably take another 3,000 meters," Hargreaves says. "WAIS Divide will pretty much fill us." Although he was trained as an oceanographer and worked for eight years at the Scripps Institution of Oceanography in San Diego, in his role as curator of the ice core collection Hargreaves has become a familiar member of the polar research community. Clean-shaven at the moment, he usually grows a beard for his Antarctic excursions, where he supervises as the ice cores are being extracted from the borehole. In old photos his ice-fringed beard nearly touches his chest, making him look more like a 19th-century polar explorer than an employee of the U.S. Geological Survey. The ice core laboratory is in a cavernous warehouse owned by the General Services Administration at the Denver Federal Center. The storage facility is a giant walk-in freezer, nearly a half-block long, that uses three compressors to refrigerate the air. The walls and the roof consist of 11 inches of polystyrene insulation; the freezer&apos;s floor is a thick composite of wood, insulation and concrete meant to keep the penetrating cold from cracking the underlying warehouse pad. The 5,500-square-foot main vault is kept at a bone-chilling minus 36 degrees Celsius (or about 33 degrees below zero on the Fahrenheit scale). "We store it as cold as we feel we can without pulling too much power," Hargreaves says. "Much lower than that and you have to go to exotic refrigerants." As it is, electricity costs "something like $40,000 a year," he says. An adjoining examination room is kept at a relatively balmy minus 24 C.
Preparing to tour the cooler, we step up to a rack hung with black Carhartt Extreme insulated coveralls, and after sizing me up, Hargreaves hands me a pair to put on. A fur-lined hat with floppy ears and a pair of fleece gloves complete the outfit. We enter an anteroom hung with a sign: "No shirt, no shoes, no ice core ... proper clothing required." The exam room is, of course, cold and very dry — so dry you can&apos;t see your breath. Some people last half an hour in here, Hargreaves says, while others can work for three or four hours at a stretch. A lot of your staying power depends on staying hydrated, he says. "If I&apos;m working in here," he adds, "I wear a full suit of thermals under my street clothes." This is where WAIS Divide ice core samples are processed when they complete their journey from Antarctica. Staffers run electro-conductivity tests to establish the age of the samples, zapping the ice with 1,000 volts of current every millimeter to measure its electrical resistance. These data, collected as part of Ken Taylor&apos;s own laboratory research, yield insights into slight variations in the acidity of the ice that result from seasonal differences in sea salt and dust captured during winter and summer snowstorms. Then they use band saws and a wood planer to cut off slabs to be sent to university laboratories, most of which are in the U.S., for experiments. A small amount is also sent to a Swiss lab that does carbon dioxide measurements to ensure that measurements taken in different labs made on different-age ice from different locations are consistent. Hargreaves ushers me into a makeshift darkroom — a box hung with black curtains that close behind us — with a light table inside. He places a cylinder of ice collected in Greenland over the light. Backlit, the ice glows, revealing cloudy bands at semiregular intervals. Those are areas densely packed with dust and bubbles, Hargreaves explains. A technician from the lab will examine each one-meter piece of ice and count the annual rings — the fancy name for this is visual stratigraphy — and log the information. Later, those data will be cross-matched with readings from electro-conductivity and other tests to establish reliable dates for each sample. I notice a notation on the plastic packaging for this core that shows it comes from a depth of 1,841 meters, making it about 16,000 years old. "Do you ever stop to contemplate the age of the ice you&apos;re handling?" I ask. "Not really," he answers. "It&apos;s a little too mind-boggling, actually." Now it&apos;s time to enter the main storage room through a tightly sealed door. Inside, despite the heavy clothing, it&apos;s seriously cold. Sealed off from the outside world, everything feels muffled, but the fans blowing super-chilled air into the compartment remind you what an extreme environment this is. The harsh light from overhead lamps reveals thousands of silvery tubes, each containing an ice core, stacked on floor-to-ceiling metal shelves. I keep thinking about the extraordinary journey these ice samples have taken, and for some reason I wonder aloud if anyone has ever dropped a core. Just once, Hargreaves tells me. The sample shattered into a thousand pieces. As we walk around, I can feel the cold starting to penetrate my shoes and gloves. Hargreaves stops to point out tubes containing some of the oldest cores in the collection, their metallic coating cracking with age. "OK, I&apos;m cold," he announces. He punches a knob in a large door that opens to an outer chamber. Later, as we thaw out, he tells me about his days as an oceanographer. "I used to go to sea a lot," he says. "This is like going to sea, only the ship doesn&apos;t move." The annual WAIS Divide Ice Core scientific meeting unfolds over two days at a Sheraton less than a mile from the ice core lab. Some 75 scientists from around the U.S. — and from as far away as Denmark — show up to discuss their latest research findings. Taylor starts with an overview of how the research has been going and warns that budgetary cutbacks are affecting other Antarctic research projects, although WAIS Divide is safe for now. Another issue is raised: the need to modify the drill so that it will extract cores closer to 4 meters in length than the current 2.7 meters. This is important, Taylor says, because as the borehole is deepened, it can take close to two hours to lower the drill and another two to remove it after a core has been drilled. Obviously, longer cores would mean fewer drill descents and extractions. Taylor also warns that drifting snow is likely to bury the arch-shaped building that houses the drill somewhere between 2012 and 2014. "We will have to move out of the arch at some point because it will become structurally unsound," he says. The research presentations that follow over the next two days touch on a dizzying array of subjects. Brent Christner, a researcher at Louisiana State University, talks about his study of ancient bacteria trapped in and beneath ice sheets, which may alter the physical structure of ice by managing to stay metabolically active over a period of hundreds of thousands of years. These bacteria inhabit tiny brine-filled veins within ice crystals. In below-freezing conditions, the microbes appear to have evolved ice-binding proteins that prevent large ice crystals from forming inside them and causing damage. "The brine pockets in the presence of ice-binding proteins are much smaller," Christner reports. If it can be shown that these bacteria survive and reproduce in such extreme conditions, Christner&apos;s work may allow climate researchers to estimate how much carbon dioxide measured in the ice might have come from microbial metabolism rather than the atmosphere. Meanwhile, Christner says, unraveling the chemistry of ice-binding proteins (which tend to form a hydrogen bond with water molecules) could have important biotech applications. Meanwhile, Eric Steig, director of the Quaternary Research Center at the University of Washington, discusses how the varying levels of stable isotopes of carbon, hydrogen, oxygen, nitrogen and sulfur found in the WAIS Divide ice core demonstrate that as cold as it is, Antarctica has been warming by 0.2 degree Celsius per decade for the past 50 years. "All credible predictions say it&apos;s going to keep warming in West Antarctica," he tells his colleagues. Jim White, a tall, serious-looking man wearing a dress shirt and neatly pressed slacks, spends much of the conference standing in the back of the room with his arms folded, listening to the presentations. Like Steig&apos;s, his research focuses on ancient atmospheric chemistry, including the study of carbon dioxide concentrations and reconstruction of the paleoclimate from measuring oxygen and hydrogen isotopes trapped in the ice. 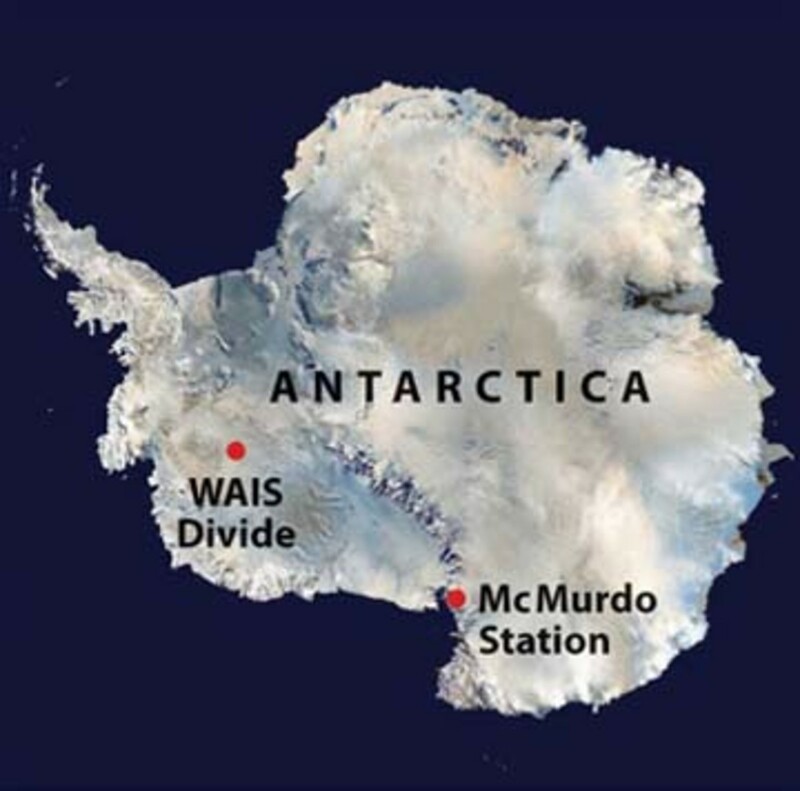 A member of the WAIS Divide project&apos;s executive committee and director of the Institute of Arctic and Alpine Research at the University of Colorado, Boulder, White agrees with Ken Taylor that resolving the fate of the West Antarctic Ice Sheet is of crucial importance. "In terms of public debate, the big-ticket questions have been, ‘What is the history of the West Antarctic Ice Sheet?&apos;" White says. "‘How rapidly can it shed ice?&apos; We&apos;re arguing about this now." Of particular concern is what White describes as a positive feedback loop where ice meets ocean. As the seas warm and the sea level rises, it accelerates the process of ice shearing off from the ice shelf and melting — which in turn causes the sea level to rise even more. Global warming is already making itself felt along the world&apos;s coasts. In Alexandria, Egypt, officials have built concrete barriers to try to keep the Mediterranean from breaching the sea wall and inundating the ancient city. In the Pacific nation of Kiribati, two islands have disappeared under the waves, and rising seas are expected to affect other low-lying island nations, like the Maldives and Tuvalu. White predicts that low-lying U.S. cities like Miami and New Orleans will be severely affected — and the devastation caused by Hurricane Katrina was just a preview. "It doesn&apos;t take much in the way of sea level rise to mess up the infrastructure along the coasts," he says. Meanwhile, despite a massive federal government plan under way to reverse decades of environmental degradation in South Florida, he adds, "The Everglades really have no future, from a sea level point of view." Scientists want to better understand the relationship between carbon dioxide and climate. The researchers particularly want to learn more about the Eemian Stage, the last warm interglacial period before the current era. It peaked about 125,000 years ago. "Temperatures were, we think, 3 or 4 degrees (Celsius) warmer than today, and the sea level was several meters higher," White says. "This was the last time the climate was anything like it will be in the next 200 years." But from what the ice cores show, carbon dioxide levels were not as high then as now. The last time carbon dioxide was this high was during the Pliocene Epoch. Then, White says, the seas were 75 feet higher than they are now. "This is an inherently unstable ice sheet," White says quietly. 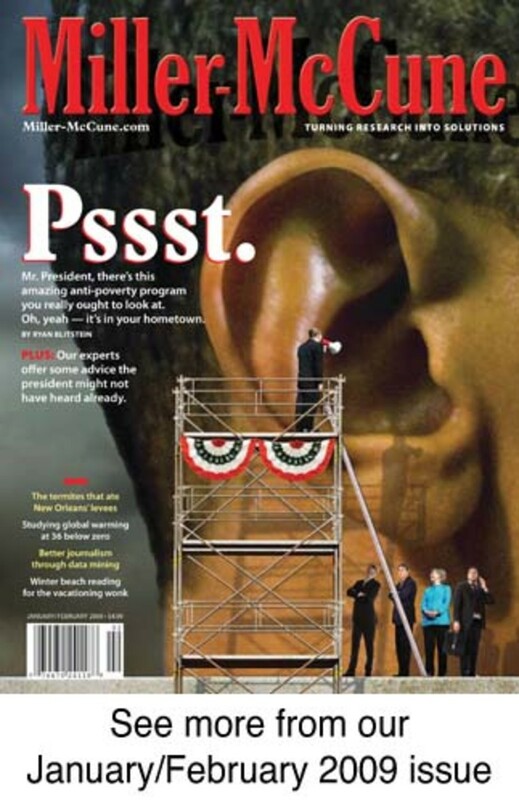 "One big, big question is: ‘Can you stop it? Is this a freight train you can&apos;t stop very easily, or is it something reversible?&apos;"
Michael Haederle is a New Mexico-based writer, editor, and teacher who has contributed to Reader's Digest, AARP Bulletin, People, Tricycle: The Buddhist Review, the Los Angeles Times, the New York Times, and many other magazines and newspapers. Melting glaciers yield evidence on new theories of Asian migration to the Americas. Underwater robots search the sea bottom, looking for more. A mile-and-a-half-long ice cube tells a story about Earth's climate. Warming oceans and intensifying winds are combining to speed decay of coastal ice. 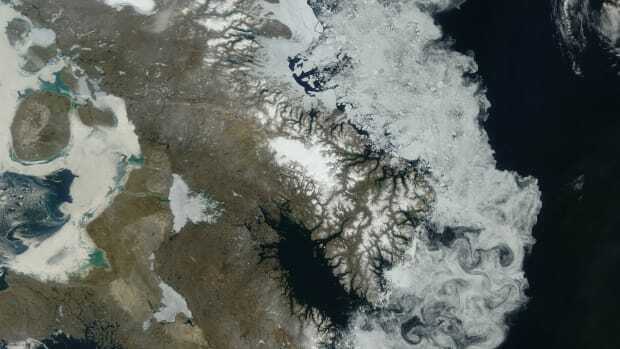 A new study of the ancient Laurentide Ice Sheet suggests that Greenland and Antarctic ice sheets may not accelerate as quickly as previously thought. A European satellite scheduled to launch today will provide hard data on rising seas. A new satellite will measure to the centimeter just how far gone, or going, the Arctic ice cap really is.